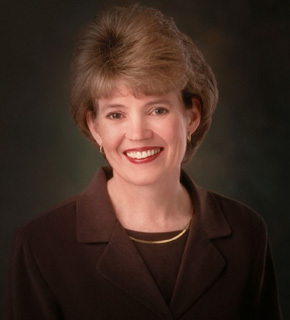 Susan Winder Tanner was the twelfth general president of the Young Women organization of The Church of Jesus Christ of Latter-day Saints, of which she is a member. She was born in Granger, Utah, on January 10, 1953, to Richard William and Barbara Woodhead Winder (who was eleventh general president of the Relief Society). She earned her bachelor’s degree in humanities from Brigham Young University. Tanner is a former president and counselor in all of the women's auxiliaries (Relief Society, Young Women and Primary), on both the ward and stake levels. She was also a member of the Relief Society general board and the Church Curriculum Committee. She is the author of Daughters in My Kingdom, a book about the history and work of the Relief Society that was created under the direction of the First Presidency and under the administration of Relief Society general president Julie B. Beck. It is distributed to adult women members of the Church and available online. She married John S. Tanner in 1974 and they are the parents of five children. She served with him while he presided over the Brazil Sao Paulo South Mission from 2011 to 2014. He has served a president of BYU Hawaii since May 2015.